The sensational singer, Leon Bridges brings to mind some of the greats with his feel good, heartwarming vintage appeal he transforms any live show into a mind blowing event! 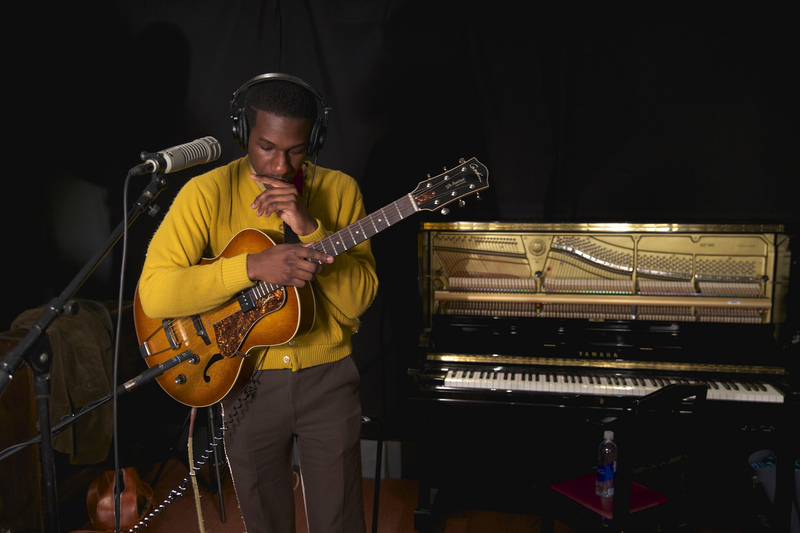 Tickets are selling fast for Leon Bridges, and it's no wonder! Known for his world-class performances, this is bound to be another unforgettable night. Where better to hear his voice then bouncing off the Red Rocks themselves! Tickets on sale now for his Thursday 9th August 2018 date! The American gospel, soul singer – Leon Bridges has been taking the world by storm since his debut album with the same name as his Spotify top 10 track, "Coming Home" – a record that became one of the most popular songs of the year, for his unique yet familiar sound. The beautiful track grabbed the attention from fans not just in the US but worldwide for it's stripped down appeal, that wasn't happening on the radio at the time. Yet Leon Bridges sound is commercial and loved by so many, despite whatever the genre you are into, you can't help but fall in love with Leon Bridge's vocals and impeccable song writing ability. Now in 2018, Leon has announced that he will be taking to the road with a brand new album titled, 'Good Thing' which he has now called his tour. Another full power chance for you to catch him LIVE in concert in the summertime! Don't miss out! "With a style born from the Soul Music stars of the 1950s and 60s, Bridges and his band – including White Denim guitarist Austin Jenkins – seem determined to play as true to the legacy of the genre as they can. Everything from their outfits, to the stage setup, lighting and the instrumental overture that played before Leon walked onto the stage, all screams of authenticity."